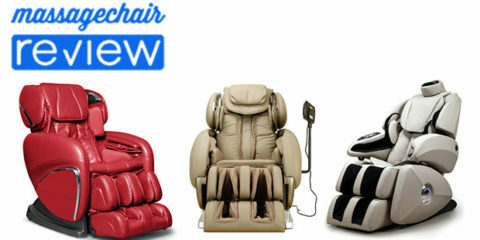 Are you looking to buy a massage chair this year and enjoy stress relief and rejuvenation? Studies have even shown massage to be effective for pain relief and alleviating anxiety. And athletes have long used massage for post-game muscle recovery. There are many benefits to massage, and massage chairs bring them all right into your home. Why not take an important step to make 2018 your best year yet by relaxing every evening in the comfort of your own private massage chair? 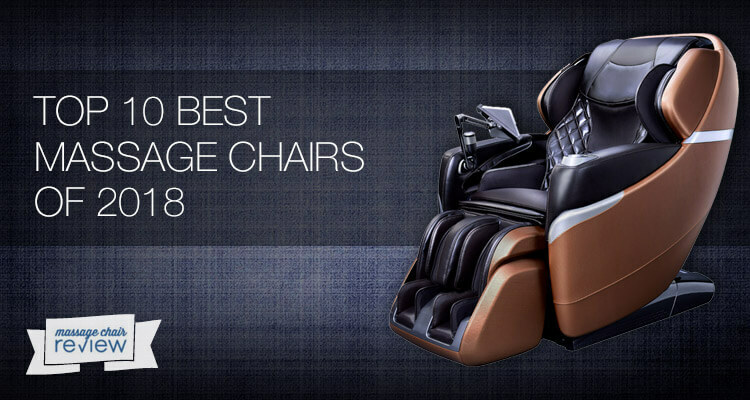 Browse our list of the top 10 massage chairs of the year. Choose your favorite, and start embracing the many health and wellness benefits of massage anytime you’d like. Best-in-class 4D rollers, L-Track Technology that massage from the neck all the way to the glutes, heated thermal rollers, and heated knee and calve massage set this massage chair apart. We’ve been big fans of the Fujimedic Kumo since it was released earlier this year. 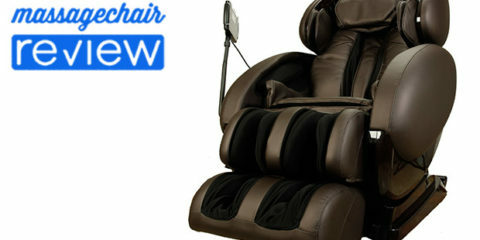 Not surprisingly, the massage chair has proven to be a bestselling model at the high-end. Retailing at $8,999, the Fujimedic Kumo delivers all the luxury you’d expect from a chair at this price. 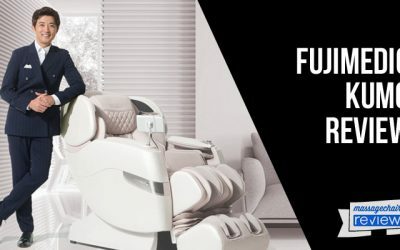 The Fujimedic Kumo levels up other chair’s 3D massage rollers with exclusive, Japanese-designed 4D Vario Motion roller technology that travel up and down the L-Track. The quad rollers can operate together or in pairs to deliver a more precise, human-like massage. Also unique is the “Heated Knee and Calve Massage,” which adjust with the touch of a button to either massage the knees or the calves and have built-in thermal heating which feels absolutely amazing! 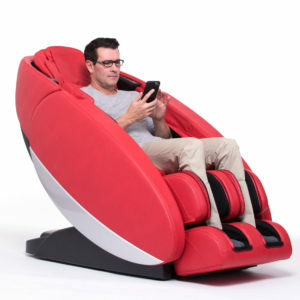 Add foot rollers and airbags for a deep shiatsu foot massage, multi-colored LED lights for chromotherapy, and Bluetooth connectivity, and you have a massage chair that’s well worth the investment. 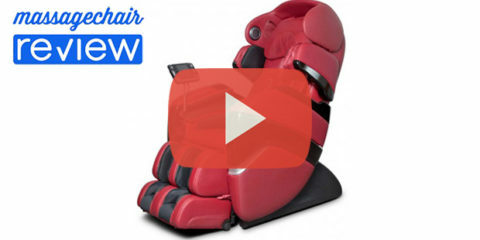 Find out if the Fujimedic Kumo is the massage chair for you here. High quality and a smart price combine to make the Ogawa Smart 3D a wise choice for those looking for the best in massage chair technology. 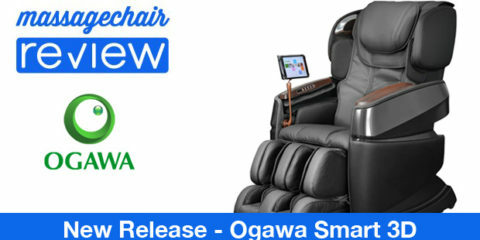 The Ogawa Smart 3D massage chair is a smart investment for so many reasons. 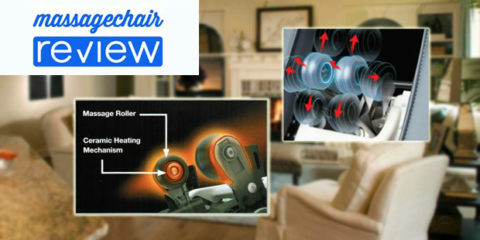 With 5-star ratings and nearly zero returns, many happy customers nestle back in their Ogawa Smart 3D chair every night. Two zero gravity settings help take stress of your spine for a more comfortable massage. 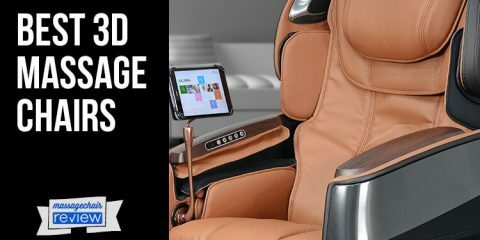 The chair features 17 automatic massage programs so you can find your perfect settings with one touch — or create your own perfect experience using the Samsung tablet touchscreen controller. 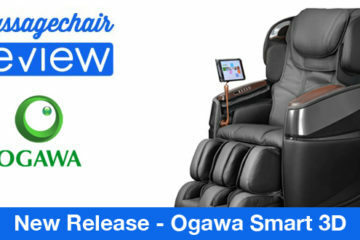 The Ogawa Smart 3D is one of the most customizable chairs on the market. Adjust the shoulders to three different widths for a perfect fit. The footrests accommodate different heights automatically through sensors, with a 2-inch extension for users up to 6’4”. With an industry-high 64 airbags for compression massage and an S-Track that adjusts to your back for a comfortable or deep tissue massage, the Ogawa Smart 3D continues to impress us. 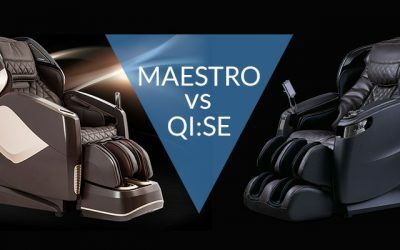 Make a smart choice with your massage chair purchase here. This bestselling L-Track massage chair combines the features and price you want with a touchscreen tablet controller for a high-tech experience. 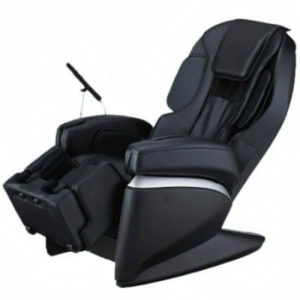 The Osaki OS-Pro Maxim continues to be one of our bestselling massage chairs. A hybrid S/L-track delivers a contouring massage that travels down to your glutes and upper thighs. The chair’s body scan technology delivers the perfect massage every time, while the zero-g setting reduces spine compression. The footrests adjust to your height so the airbags and rollers delivering the foot and calf massage hit the perfect spots every time. 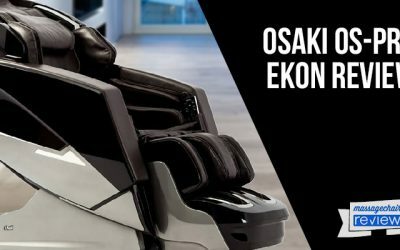 Osaki re-engineered the massage chair’s airbags, with fewer airbags and valves providing greater surface coverage. The result? A quieter, more comfortable compression massage that delivers exceptional results. 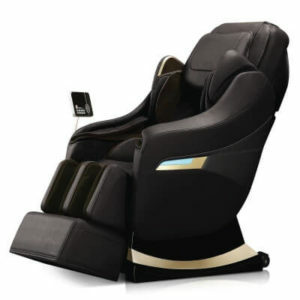 Stacked with features including LED chromotherapy, Bluetooth connectivity, 12 pre-set massage programs, and lower back heat therapy, the OS-Pro Maxim delivers a luxury-level massage. We’ve recently lowered the price on this chair, offering it for almost half of what similar chairs in its class may cost. Get a luxury massage experience at an exceptional value here. 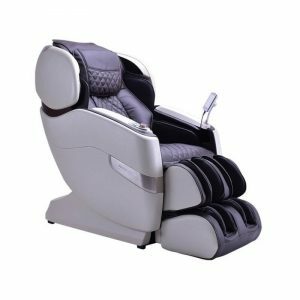 With legendary Japanese rollerball technology and 25 pre-set programs, this best-in-class massage chair brings the Far East home. 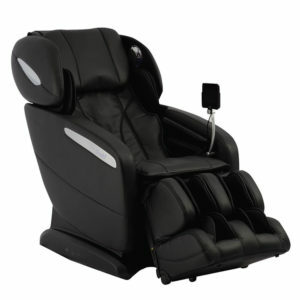 Japanese massage chair technology is known to be head and shoulders above most chairs developed in the U.S. If you are looking for the straight-up best dual head roller 4D massage technology, you will find it in the Osaki Premium Japan 4S. The rollers on the Osaki Premium Japan 4S extend a full four inches for one of the deepest massages on the market. The rollers offer variable speeds plus 85 kneading techniques for a customizable massage that feels more like human touch. A variety of stretching programs relieve joint pain and increase flexibility in your neck, shoulder, waist, knees or feet, making this a great chair for athletes. Heat in the lumbar and foot regions also aid with pain relief. 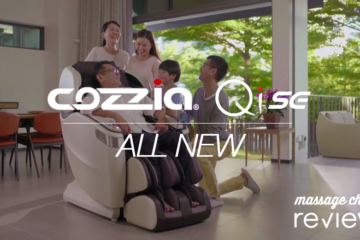 With 25 preset programs and endless customization options, this massage chair can bring soothing relaxation and recovery to anyone in your family, accommodating bodies up to 6’3” and 250 lbs. Experience the best Japan has to offer in massage chairs right here. The Human Touch Novo XT massage chair virtually defines luxury. 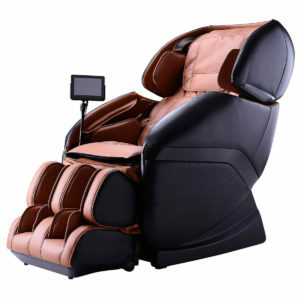 Packed with features that help you nestle into the soft, plush leather and relax as every inch of your body is pampered, this massage chair delivers nothing less than you’d expect from a high-end model. The hybrid L/S track features quad rollers that curve along the lines of your spine for a deeper and more comfortable massage. The rollers extend 3 inches past the track, penetrating deeper for a massage that feels more humanlike, enhanced by the quad rollers that mimic human fingers. With 34 massage programs, including a stretch program that loosens tight muscles and helps post-workout recovery, the Human Touch Novo XT provides enough options for you to find your perfect massage. Add Bluetooth capabilities, soft airbags that envelope you from shoulders to ankles, and a wall-hugging design, and the Human Touch Novo XT is the perfect fit for nearly every home. Experience the human-like touch of the Novo XT now. The Ogawa Active-L provides an intense full-body massage and technology and features you’d expect to see in chairs twice the price. 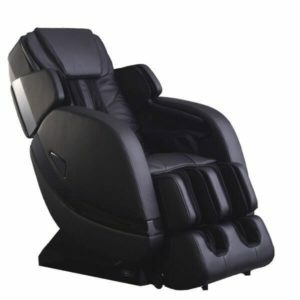 Manufactured by one of the most trusted names in massage chairs, the Ogawa Active-L offers high-end capabilities for around $5,000. The L-track on the Ogawa Active-L is unlike any other. The track uses a hybrid SL design, extending to the glutes and upper thighs but also contouring around your spine for a more comfortable massage. The quad rollers provide a human-like feel and offer 7 different massage techniques. Adjust the speed and strength to five different levels for the experience you crave. Two zero gravity settings, a feature normally found on more expensive chairs, alleviate pressure on your spine and provide a feeling of weightlessness. Advanced body scan technology enables a customized massage every time. Heat and vibration promote utter relaxation. Dual acupressure foot rollers deliver a reflexology massage to rejuvenate tired feet. Add 44 airbags, LED chromotherapy, Bluetooth connectivity, and an intuitive tablet-style touchscreen controller, and it’s easy to see the Ogawa Active-L is equipped to impress. Elevate your massage experience with the bestselling Ogawa Active L today. The Infinity Escape epitomizes luxury with a 47-inch L-track and quad rollers for a longer, deeper, more human-like massage. If you’re looking for a chair that revitalizes and rejuvenates muscles while allowing you to escape the pressures of daily life without leaving home, the Infinity Escape is worth a look. The L-track design extends 47 inches down to your glutes. The quad rollers contour around your spine for comfort and a more human-like touch that you can relax into, feeling the pressure melt away. Sink into the weightlessness of zero gravity as you feel pressure melt away. New technology allows for state-of-the-art spinal correction, with an advanced upper-body airbag system that performs firm shoulder retraction while airbags grip the rest of your body. Meanwhile, the massage rollers move up and down your back while the shiatsu swivel seat moves your hips for the ultimate realignment. The Infinity Escape offers a true full body massage with 38 airbags treating arms, wrists, shoulders, hips, down to your legs, calves and feet. Six rollers on the bottom of your feet offer a relaxing reflexology massage that will simultaneously relax and revitalize you. And all this in a chair that retails for less than $4,000. Escape into luxury now with this bestselling massage chair. Japanese-style 3D roller technology provides a more humanlike massage and nearly endless customization options. With the same technology as the Ogawa Smart 3D, the Ogawa Touch 3D uses dual head rollers that adjust to six different levels of depth and intensity for a penetrating deep tissue massage or smooth strokes to relax and revitalize. Double body scan technology ensures every massage is the perfect fit. Choose from 8 massage programs to get exactly what you need from the experience. Two settings of zero gravity help relieve pressure on the spine and elevate the legs above the heart to reduce blood pressure and promote relaxation and a feeling of weightlessness. Heat, vibration, airbags, chromotherapy, and Bluetooth capabilities help you feel as if you’ve been transported to another world when you enter the Ogawa Touch 3D. The chair accommodates users from 5’ to 6’5”, making this the perfect massage chair for everyone in your family. Experience the excellence of the Ogawa Touch 3D now. It’s no coincidence that Ogawa chairs hold four out of 10 spots on our list of bestselling massage chairs. The company dominates nearly every price point of the market with high-quality, feature-rich, stylish massage chairs boasting innovative technology and acclaimed durability. The Ogawa Refresh Plus, priced around $2,000, is no exception. Next generation Smart Curve technology moves the quad rollers along the natural curve of your spine. You’ll feel the tension escape as the quad rollers work your neck and shoulders in a variety of motions. Like other Ogawa Chairs, the Refresh Plus uses advanced body scan technology to deliver a customized experience for every user. The chair offers 7 massage techniques, 6 pre-programmed massage sessions, and a host of customization options with 5 speeds adjustments. You can even program a targeted massage to work a specific problem area. And it’s easy to create your ideal experience with the intuitive touchscreen controller. With 42 airbags, a zero-g setting, and vibration, this chair is a treat for you—and your wallet. Enjoy ultimate massage therapy in an affordable chair today. You’ll love the Titan Pro Executive with 3D rollers for a deep tissue massage, zero gravity, heat and more for under $4,000. 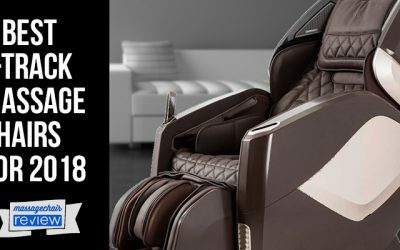 The Titan Pro Executive has everything you’d expect in a massage chair costing much more than $4,000. The 3D rollers extend a full 4.7 inches into the body for an effective, full-body deep tissue massage. The S-track extends 32 inches–more than many other chairs in this class. Three rows of deep-kneading foot rollers provide a relaxing and rejuvenating reflexology massage for your feet. And 61 airbags target virtually every inch of your body for compression and stretch massages. Choose from six pre-set programs, including a highly effective waist stretch that will leave you feeling great. Or design your own program and save it in one of three memory slots. You have five choices of massage types, including shiatsu. The chair comes equipped with body scan technology for a truly customized and comfortable massage experience. 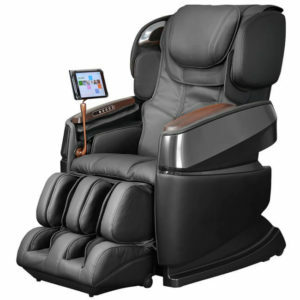 Enjoy a high-tech massage for less with the Titan Pro Executive here. 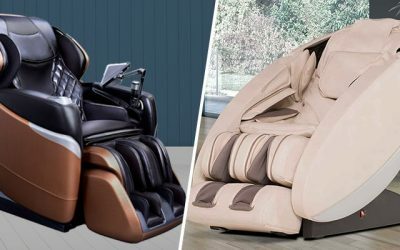 Which Massage Chair Gets Your Vote? Did your favorite massage chair model make our list? After you’ve considered our top 10 favorites, shop our store to find the massage chair that will make 2018 your healthiest, most relaxed year yet.